Evening all! 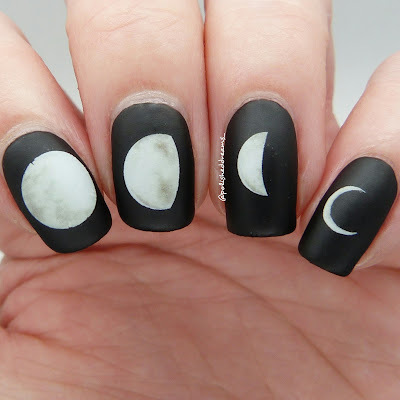 Today I have a rather unseasonal mani to share with you but hey, who cares! 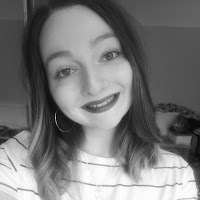 A little while ago I received another set of goodies from Born Pretty Store (you can read my first review for them here) but because I've been so busy, I've only just got round to trying them out. This post is all about some lovely little moon water decals which feature the different phases of the moon. I've seen a few mani's like these on Instagram so wanted to have a go myself, even if I wasn't going to be hand painting it! 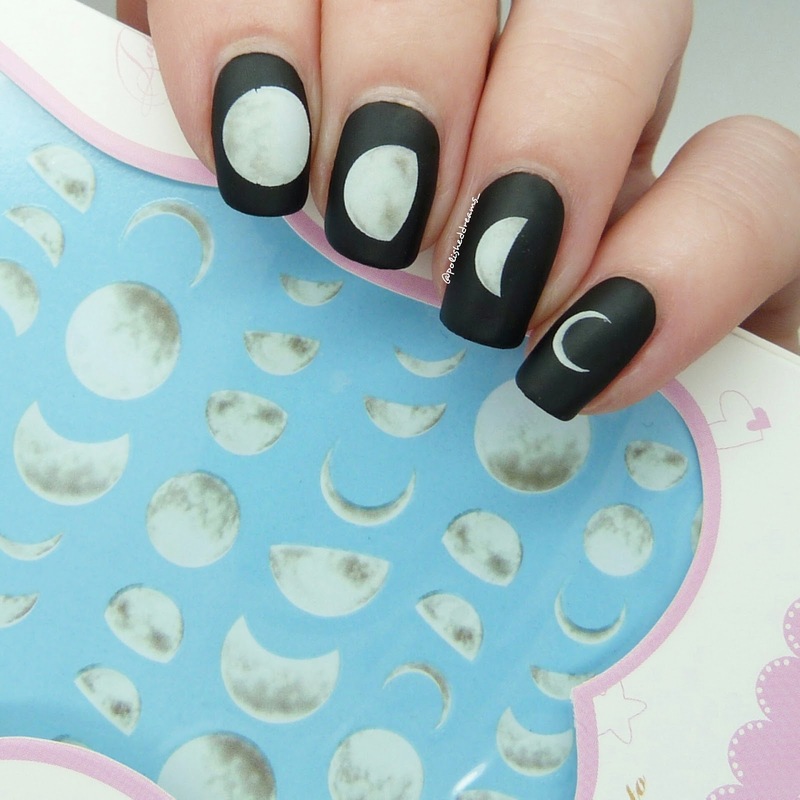 If you've never used water decals before, think of them a bit like the temporary tattoos people loved as kids. The image is on a paper backing with a plastic sheet on top. The first thing you need to do is paint your base colour on your nails. 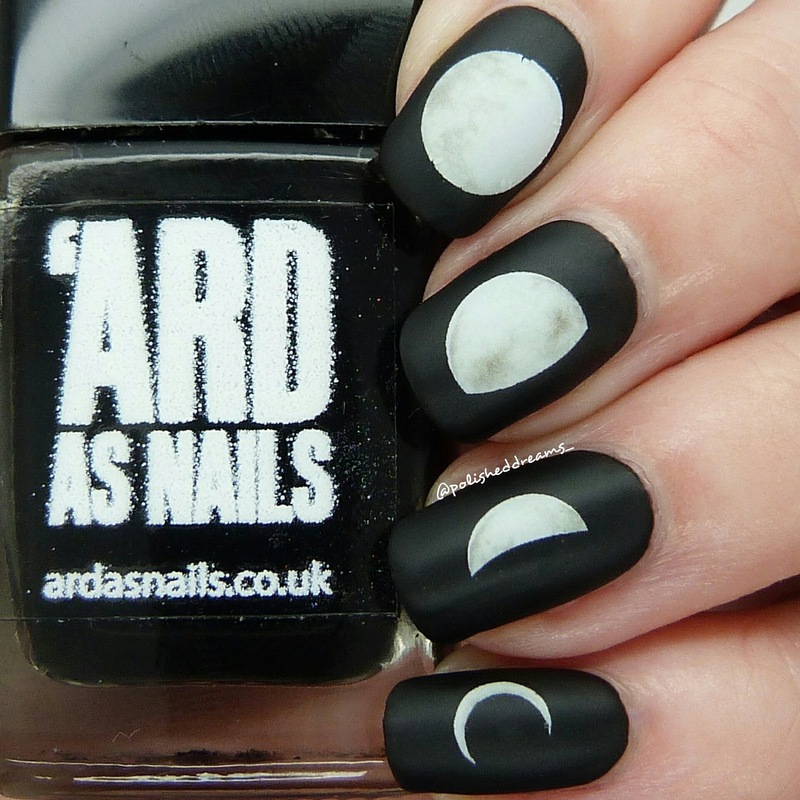 I used my favourite black called Beauty from Ard As Nails. Once this is dry you have to remove the plastic from the decals and then cut out the image that you want. You then hold this underwater for about 10 seconds, take it out and then slide the image right off. 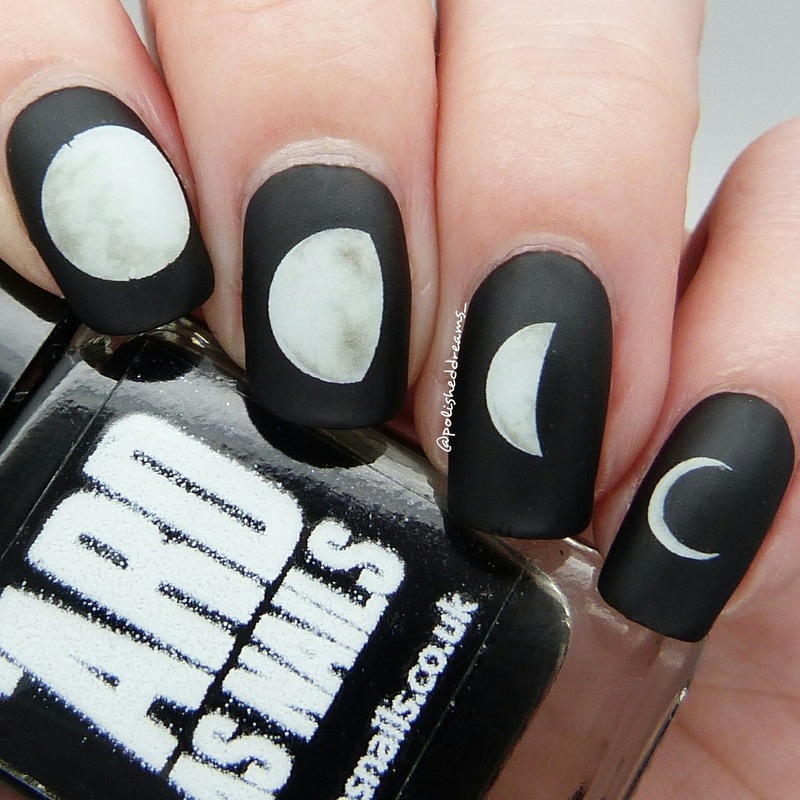 Put it on your already polished nails and ta da, easy peasy! Once I'd let them dry on my nails for a bit I then topcoated to remove any lumps and bumps and used my trusty Barry M matte topcoat to matte it all. I have to say, using and applying the decals was really easy to do, absolutely no issues here. I was also pleased with what the mani looked like when I'd finished and I had some lovely feedback from friends. My mum on the other hand wasn't so keen but oh well, I guess you can't please everyone! My only little problem with these is that the edges were a lot sharper than I'd expected and the moons weren't quite as shaded once I'd put them on my nail. I was basing my expectations off the main image on the site, but having just looked at the customer images, they look more similar to my own. Despite this, as I've said I was happy with the outcome and if you like the appearance of them then I would happily recommend them. You can buy the decals here for an extremely fab price of 91p! It's nice to do something simple every now and again and decals definitely give you that opportunity. 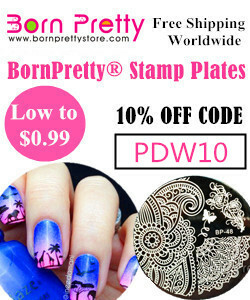 Born Pretty Store have a huge range of decals and other items so definitely check them out! Delivery does normally take about a month, if not longer, so as long as you're happy to wait, it's a great place to get good items for a very reasonable price. They also offer free worldwide shipping which is even better when you're hardly paying anything for the products in the first place. I still have some more items to share so do keep an eye out on Instagram! Don't forget you can use my code PDW10 for 10% off full price items from Born Pretty Store! Lovely review of water decals! You know I use and love them so much. This design is very cute and I the moons held up well over the black!